Superman is dreaming of his friend Bruce, yet his dreams quickly turn to nightmares when Barbatos and his dark knights invade. Basically Clark discovers how bleak life is in the DC universe with the forces of the dark multiverse taking over. 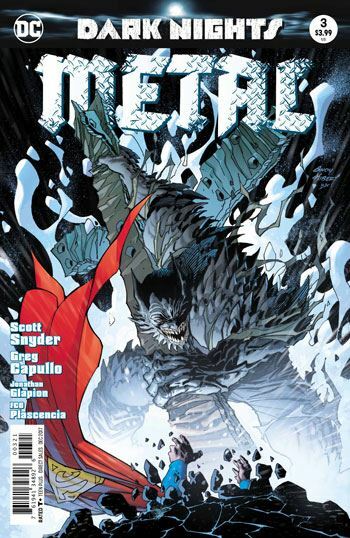 He (Superman) retreats to a pocket mystical base where he parlays with Nightwing and the other heavy hitters. 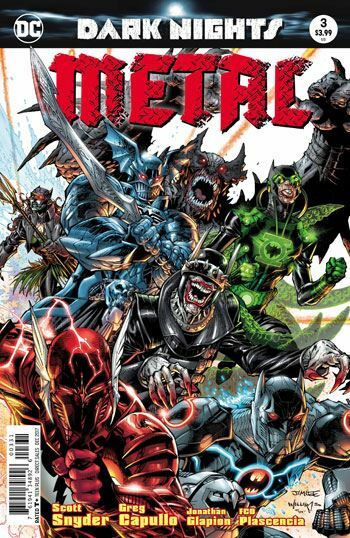 They come up with a plan of counterattack based on the dark multiverse's knights vulnerability to Nth and other metals. The heroes split up to carry out the plan with Green Lantern heading to space, Aquaman and Death stroke diving under Atlantis and Superman and Steel heading to the fortress. Where the darkness gets darker and the issue hangs on a cliffhanger. One of the coolest things in this comic, and there was several was seeing Doomsbat. 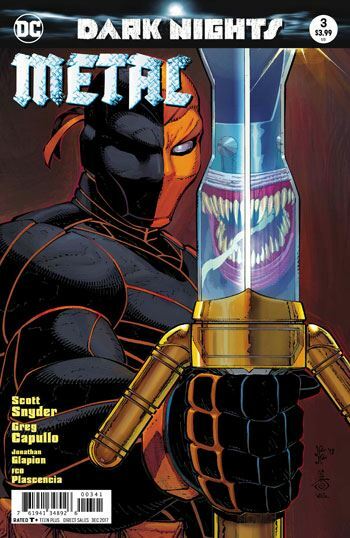 Snyder is writing a Batman/Justice League/ DCuniverse event which makes s a pretty heady task. So far he is up to the challenge, this series draws from a lot of sources. In this issue there are some nice nods to The Dark Knight Returns, the Crisis and other recognizable watershed moments in DC history. 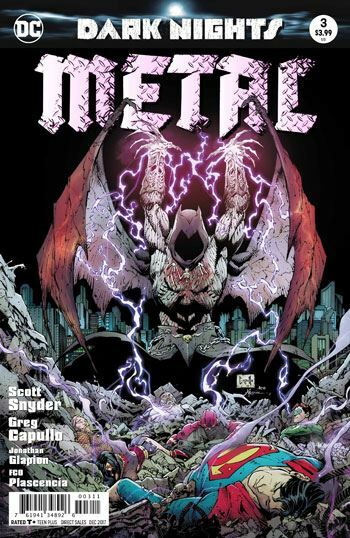 Also where I found the first couple of issues overly complex and complicated it seems as the title progresses Snyder is providing the readers some clarity. The art in this book is scary good. Even with the dark tone the heroes and villains pop off the page the main and secondary characters both look fantastic.